Leib Oehmig takes the helm at Glen Raven as the first non-family member to hold the position of CEO. 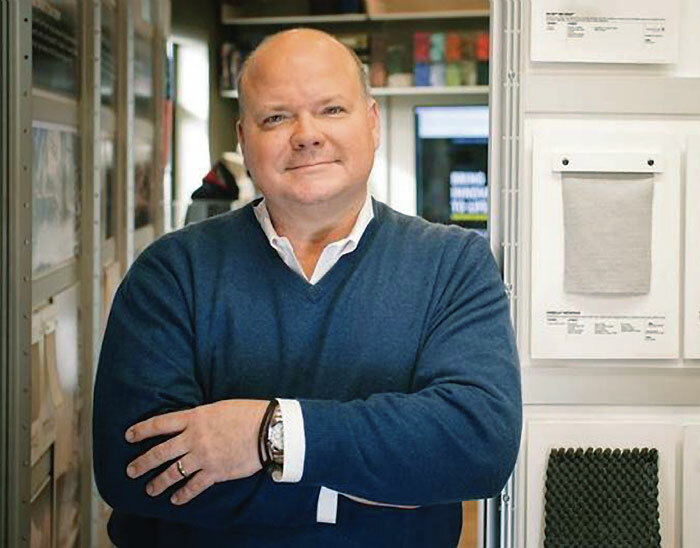 Glen Raven, N.C.-based Glen Raven Inc.’s story is a success story for the U.S. technical textiles industry. The company is privately held by the Gant family, and throughout its 137-year history, it has been led by a member of the Gant family. Leib Oehmig began his career with Glen Raven in 1989 and steadily moved into increased management responsible positions. In October, Oehmig became the first non-family member named CEO of Glen Raven. Textile World recently had the opportunity to interview Oehmig. Textile World: It’s been four years since the management transition from Allen Gant, Jr. to you was first announced. During this time, you have served as president/COO of Glen Raven Inc. Why such a long transition period? Oehmig: We began the transition during the post-recession period in which we were focused on both stabilizing our business globally, and executing numerous growth opportunities. Therefore, it was “all hands on deck” and we wanted to ensure that our team remained focused. Additionally, this has been a big transition for Glen Raven’s family shareholders. Although I have spent my career with Glen Raven, Allen had the foresight to understand the ownership dynamics of this very privately held company and wanted to pace the transition in a manner that would ensure the success of our leadership team. In the end, Thursday, October 5, 2017, was the date selected for the change. TW: Since largely leaving the pantyhose business in the 1970s and tying the company’s fate to woven acrylic Sunbrella® fabrics, Glen Raven’s “bread and butter” has been the traditional markets like awning and marine boat cover applications. In the last decade or so, we’ve seen Sunbrella expand into other areas such as outdoor furniture. What currently is the largest end market segment for Sunbrella, and what do you see as its next big market? Oehmig: Glen Raven’s core markets are shade, marine, automotive, furniture, safety, value-added military and geosynthetics. We also own a software company and have additional investments in a range of other industries. Therefore, I would certainly not agree that we are tied to a woven product or specific raw material. We do remain 100-percent committed to our core markets and are equally executing strategies to grow these markets, along with our position in these markets globally. Our focus is to introduce products, services and technologies with unique attributes that will allow our current and prospective customers be successful. If we can help our customers achieve their goals, then everyone in the value chain wins. TW: Staying on the subject of Sunbrella for a moment, there seems to be a greater push recently to emphasize the Sunbrella brand as the company rather than Glen Raven Custom Fabrics. At the recent IFAI Expo in New Orleans, Glen Raven Custom Fabrics wasn’t even listed as the exhibitor; rather, it was Sunbrella. What’s behind that strategy? Oehmig: Although Glen Raven is the parent company, we focus on putting forth the presence that is most relevant to our customer, and that is often a product or service we provide under a different brand than Glen Raven. to the market. The show attendees — whether they purchase through Trivantage or another distributor — are also using Sunbrella, which is the leading shade fabric brand, which is why Sunbrella has a strong presence. It’s all about focusing on customer needs. TW: In August, Glen Raven announced its intent to acquire Sunbury Textile Mills, a manufacturer of decorative jacquard fabrics. Glen Raven has been a close partner with Sunbury for more than 20 years. Why was the decision made to acquire them? Was there something you saw changing in the industry? Oehmig: Sunbury has been a strategic partner of Glen Raven’s for more than 20 years. We are operationally and culturally aligned, and our teams have always worked well together. However, the pace of business today is faster than at any other time in our history. Therefore, our commitment to our customers meant that we needed to further align ourselves to take advantage of opportunities and to be able to execute faster and more efficiently than ever before. Bringing Sunbury and Glen Raven together gives us a great opportunity to better service our customers. TW: What are your thoughts on the U.S. economy right now? Oehmig: We are in the ninth year of economic expansion since the Great Recession. However, for many of us, this period of economic expansion has felt different from previous expansions. The run up in the S&P likely has more to do with a lack of meaningful alternatives than true market dynamics and consumers remain more cautious. At Glen Raven, we remain focused on maintaining a solid balance sheet while continuing to make significant investments in the business. We routinely review our market portfolio for any signs of weakness, but we remain optimistic. TW: How about current specific end markets for technical textiles such as shade, marine, military, casual furniture, geosynthetics and automotive? Oehmig: When we speak about the opportunities and market conditions in technical textiles, we are market, submarket and geographically specific. For several years, the global shade and marine markets have not been growing at a desired rate. Therefore, we are pushing innovation through programs such as “The Future of Shade” and the “Marine Design Challenge” to inspire creativity, new products and new applications in these markets. For the balance of the other markets you mentioned, we are seeing a wide range of market growth rates depending on industry and geographical location. Therefore, we continue to push innovation while also expanding our global footprint in support of our growing customer base. TW: Do you see a “market disruptor” out there or will growth be more evolutionary? Oehmig: I am sure that every business is imagining how they can be a disruptor versus being disrupted. This is the reason that we spend a great deal of time strategizing around not only “what’s now”, but more importantly “what’s next.” In some industries we serve, the technology is changing so fast that the next disruptive technology or application may be just around the corner. In other markets, change seems to be more evolutionary. However, in every market, the pace of change and the customer’s expectations for innovation is increasing faster than ever before. TW: How do you feel about the Trump Administration’s announced intention to revisit the North American Free Trade Agreement (NAFTA) and the Korea U.S. Free Trade Agreement (KORUS)? Do they need to be revisited? Oehmig: I support the Administration’s intention to revisit the NAFTA agreement if the desired outcome is a modernization of the 24-year old agreement. However, I would not support a comprehensive renegotiation. The same would be true for KORUS. Improved customs enforcement of the current agreements is an issue that must be addressed. TW: Gant guided the company through a period of unprecedented expansion in Europe, Asia, India and Brazil. Glen Raven also merged the two primary technical textile distributors in North America into a new subsidiary called Trivantage. The company has also moved into previously unfamiliar markets like geosynthetics. When the time comes, what do you hope will be your legacy at Glen Raven? Oehmig: I am passionate about this industry, the markets and customers we serve and the incredible group of people that I have had the pleasure of working beside for the last 28 years. Amazing opportunities remain in this industry, and I will hope to have made a contribution in Glen Raven reaching its full potential by remaining customer focused and conducting business in an ethical and socially responsible manner. There will be challenges, but we will remain focused on our customers and how we can help them achieve their goals. 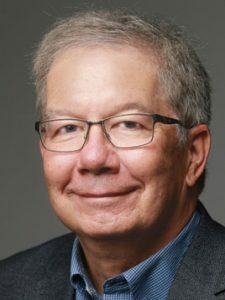 Editor’s note: Stephen M. Warner, Arden Hills, Minn., is publisher of BeaverLake6 Report, beaverlake6.com, a Web-based newsletter reporting on trends, data and issues that he feels influence the technical textiles industry. He also is former president and CEO of Industrial Fabrics Association International.